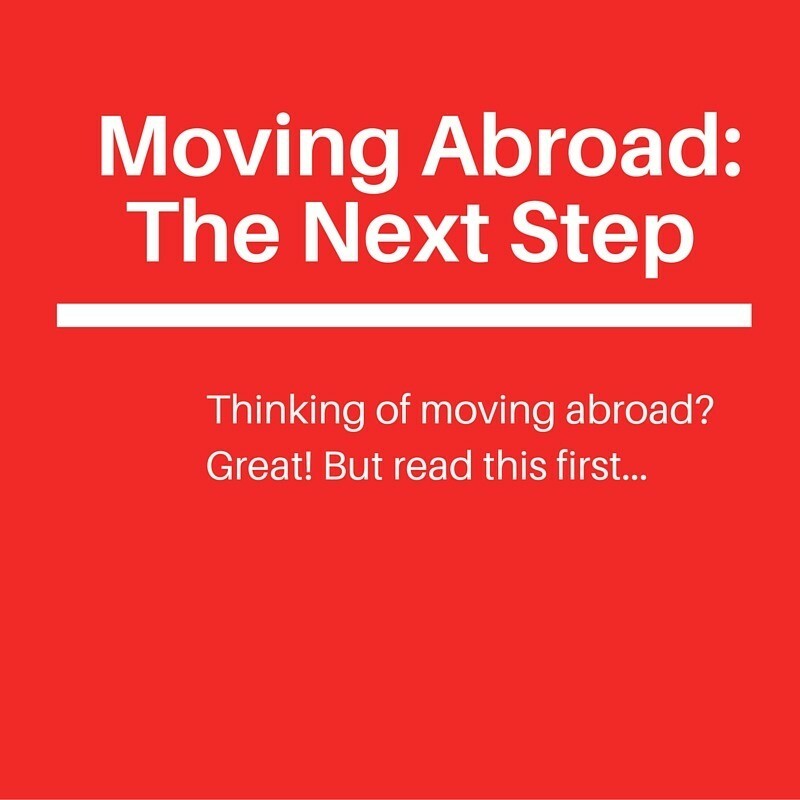 We’ve already discussed the first step to moving abroad…so what’s next? While there is no set order for you to follow, the following is certainly one of the next steps you must take if you’re thinking of moving abroad. Do you speak a second language? If you’re from the U.S., it’s likely you do not. I was in the same boat. I didn’t grow up in a bilingual family and my hometown was whiter than Wonderbread. But I had the benefit of having a few select teachers who had traveled and lived in other countries – exposing me to the world beyond my neighborhood and instilling in me the understanding that life is different elsewhere, but that humanity is bonded through basic commonalities. A smile says so much, and charades must be the most popular game internationally. But those can only last so long before their novelty wears off and you just want to get your damn point across to someone! Becoming fluent in another language may not be a realistic goal for you, and that’s okay. Not everyone finds learning another language to be easy, and the older you are, likely the more daunting that challenge may seem. However, if you’re planning to move to another country where a different language is spoken, you cannot claim excuses to avoid learning the local language. If you make the active decision to move somewhere new for a lower cost of living, for a different lifestyle, or just for the fun of it, you are in charge of your fate. You are not fleeing under cover of darkness without warning. You are choosing to go somewhere, and you are choosing the destination. Should that destination speak another language…it’s time to get learning. Not only will learning the local language make your daily life easier, it will make your lifestyle more enjoyable. Learning the local language well enough to communicate your thoughts and emotions will offer you the opportunity to become part of the community, rather than staying on the outside. Communication is key to human interaction. It doesn’t matter which country you’re in, human interaction is the same around the world. As an expat, all that stands in the way of you making new, lifelong friends is language. When I first arrived in Bilbao – a city in northern Spain along a beautiful estuary highlighted by Frank Gehry’s stunning modern art museum – I spoke very minimal Spanish. At the time, however, I thought I spoke it quite well! At least, that was what my Spanish teachers had told me in school. But in all reality, I knew right away that I was a bit out of my league. On the plane into Bilbao, I was sitting next to a woman headed home. She ever so politely started chatting with me: “Where are you staying?” and “How long will you be here?” With such basic questions, I was able to reply and perhaps even continue the conversation a bit. But then she started talking in phrases I hadn’t learned in my textbooks, with words I’d never heard, and in an accent I’d never encountered. I wasn’t in Kansas (or the classroom) anymore. That first conversation made me realize that classrooms are an excellent beginning to learning a language, but being on the ground in a foreign country was where the true lessons began. Starting with basics, like buying groceries and chatting with the store clerk, helped me to gain a little more confidence with my very limited vocabulary. I also became accustomed to the local accent and started picking up new words only used in that area. By the time I left Spain and headed to Ecuador, my confidence was greatly improved and I was ready to take on a new adventure. I went to Ecuador completely on my own – nobody was waiting to pick me up at the airport and no friends were there to help me translate my new life. I had to rely on my own knowledge, which still wasn’t anywhere near fluency, but at least it was a start. And I knew that being on the ground on my own, I would be forced to truly learn the language in a way no teacher could ever convey in a classroom setting. With my conversational Spanish, I found myself in a wonderful situation. The owner of a beautiful B&B in central Quito also owned a sprawling, gorgeous inn up in the mountains of Otavalo. He offered me a discounted trade: I could live in both hotels, spending the week in the city and the weekends in the country, if I taught English to his hotel employees. What a fantastic trade! I lived in Ecuador for six months, enjoying my time in the bustling capital and meeting new people everyday, and then running up to the pastoral mountains where I shared my English skills with a small group of locals in our classes. They, in turn, shared their culture and home with me. I was invited to a family wedding, brought to festivals and celebrations, and I even learned how to cook some local dishes, all because I spoke enough Spanish to truly connect with my new local community. Of course, in both Spain and in Ecuador there are plenty of locals who speak English, so knowing Spanish wasn’t vital for me to enjoy life there. But knowing enough Spanish to converse allowed me to experience both cultures as an insider, and I am so happy I took the time to learn and to practice my new language skills. I cannot stress enough just how important it is to – at the absolute bare minimum – learn a few polite phrases in the local language where you’ll be living. Learning to say hello, thank you, please, I’m sorry, excuse me, are very simple words and phrases no matter the language. Learning these niceties will go a long way to show locals that you’re trying. You cannot become truly fluent ahead of time – nor would any local expect you to do so. But if you arrive in your new destination with a few basic words and phrases, you’ll show that you’re interested in their culture and that you’re invested in your new home.